The Indian business ecosystem has improved considerably in the past few years. 'Make In India' has opened Indian market globally in a completely different manner. With this increased competition, the market is focusing on improving productivity and efficiency in their operations. Automation technologies can play a key role here. Automation Industry Association aims to be the platform-of-choice for the Indian industry to connect and exchange knowledge on topics related to Automation, Internet of Things and Robotics. Automation Industry Association is a national association that represents the leading manufacturers and distributors of systems, software and related services used in industrial process control and factory automation around the world. Our member companies include the leading multi-national companies together with a range of more niche-oriented channel partners and system integrators. We help our members operate and expand their business by providing industry knowledge, sharing market trends and creating networking opportunities. We also see manufacturers looking for solutions to automate their factory floors. We help such businesses with technologies and ideas to transform the way they do business. Ideas are the seed of innovation. We talk about and regularly discuss the positive impact of technology, automation and robotics on business, the Indian economy and society at large. It’s important that people understand robotics and automation better. We are building a community of engineers, system integrators and automation suppliers over this online platform to interact and learn from each other. We often collaborate with similar associations as the AIA, outside India as well. Complex transformations like Industry 4.0, depend on people coming together in agreement. AIA regularly brings the industry together with researchers and policy makers through meetings, conferences, seminars and symposia. Indian industries have an opportunity to invest in research & development and take advantage of cutting-edge automation technologies. We recognise that this may promote and extend the interests and influence of AIA's members and we consciously do that in a brand-neutral manner as much as possible. Robotics and automation solutions need to comply with safety and compliance standards in the respective industry. Some areas need new regulations and safety standards altogether. AIA plays a continuous role in discussing these rules and regulations as well as promote, improve and encourage training opportunities for people in robotics, automation and related disciplines. "Industry 4.0 is not a regulatory compliance; it is a journey towards digitalisation and better integration of processes within the company. Educating and hand-holding owners and engineers is essential for imbibing the nuances of digital power and sustaining long term success of business." 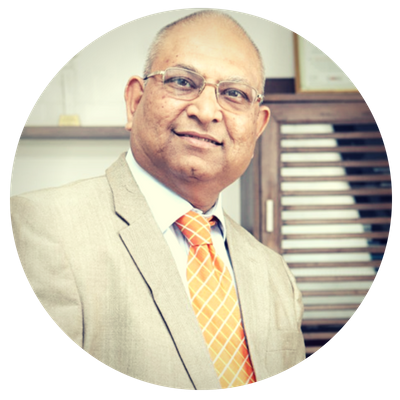 Mr. Sivaram He has nearly forty years of work experience, most notably having served as the MD of B&R Industrial Automation India, for over 20 years, which he founded in 1996. As the current President of AIA, Mr Sivaram has been a key contributor to the National policy for SAMARTH UDYOG. He graduated in Electronics Engineering from IIT-Madras in 1976. He has worked in automation of various fields like Power Transmission and Distribution, Communications, and Power Plant Automation. Mr Sawhney graduated with Honors in Electrical Engineering from IIT Roorkee and began his career with Larsen & Toubro Ltd, subsequently working with GE Fanuc and and growing to the position of Vice President – Sales for South Asia. Mr. K. Nandakumar is the Founder and Managing Director of the Chemtrols Group. Started in 1975, Chemtrols is one of India’s Leading Solutions Provider in Process Analytics, Flow and Terminal Automation, Environment Monitoring, Process Measurements, Steam Conditioning Solutions and Utility Management. Mr. Nandakumar is today, a very respected and renowned figure in the field of Chemical Process Engineering and Process Automation. Mr Srinivasan brought with him over two decades of experience in technology-enabled businesses across Asia-Pacific region. Most recently he was the VP & Managing Director at Invensys India Pvt. Ltd. As AIA President he set the vision to increase AIA’s membership and set up national chapters. He graduated from IIM Bangalore and has an engineering degree in Electronics & Communication. He was a Director, Member Managing Board of Siemens Ltd. He was Head of Industry Sector – South Asia having a business of around 34 billion rupees in the last fiscal year. With 4 factories & employing over 3400 employees Industry Sector is one of the largest Sectors of Siemens in South Asia. Mr. Paranjape started his career with Siemens as a Graduate Trainee Engineer after his BE in 1971. Mr. Khanna is a graduate in B. Tech. (Electronics Engineering) from Institute of Technology, Banaras Hindu University in the year 1976 and postgraduate in M. Tech (Electronics Engineering) from IIT Kanpur in the year 1978. Currently he is with Emerson Process Management (I) Pvt. Ltd. since 2004 and holding a post of Managing Director there at Emerson. A graduate from UDCT, Chandigarh, joined L&T in June '03 as Chief Executive (Electronics Sector II), with responsibility for Control & Automation (C&A), and Petrol Dispensing Systems & Solutions Businesses. Prior to L&T, he was Managing Director of Yokogawa Bluestar Limited (now Yokogawa India Ltd) for a 5 year period from 1998. In the period 1981 - 1998, Mr. Singh was with Rosemount (India) Limited - now Emerson Process Management in various positions - culminating with the position of Vice President & General Manager, which he assumed in 1992. Prior to 1981 he served with the Reactor Engineering Division of BARC - where he commenced his career joining the 16th batch of BARC training school in 1973. Ravi Uppal (53) has spent over 20 years with the ABB Group and is presently Vice Chairman, Managing Director & Country Manager of ABB in India. He is also responsible for the South Asia-Pacific Region and is a member of ABB's Group Executive Forum. He actively serves on the Board of Governor for Indian Institute of Management (IIM - Bangalore) along with several leading companies in India. Ravi Uppal is actively involved with Indian industry & academia and also spearheads several social & community development initiatives. He has chaired over several engagements with the Confederation of Indian Industry (CII). 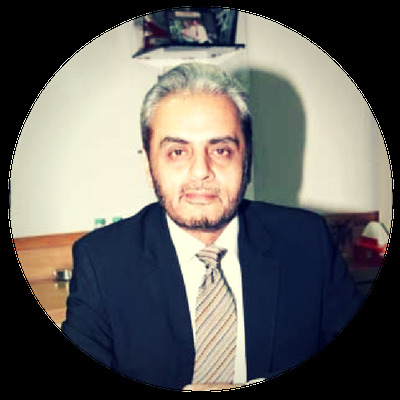 Ravi completed his undergraduate studies at Indian Institute of Technology, Delhi in 1973 and received a PGDM from the Indian Institute of Management, Ahmedabad in 1975.